HBOs Game of Thrones lived up to the hype. This past weekends season premiere stands as the most-watched one-day event in the history of the cable network that began in 1978. The Nielsen company said 17.4 million people watched the Sunday opener to the shows final season, either live on the network at 9 p.m., streamed, through HBOs on-demand service or during two reruns that aired later that night. Nielsen cant account for people who watched more than once. 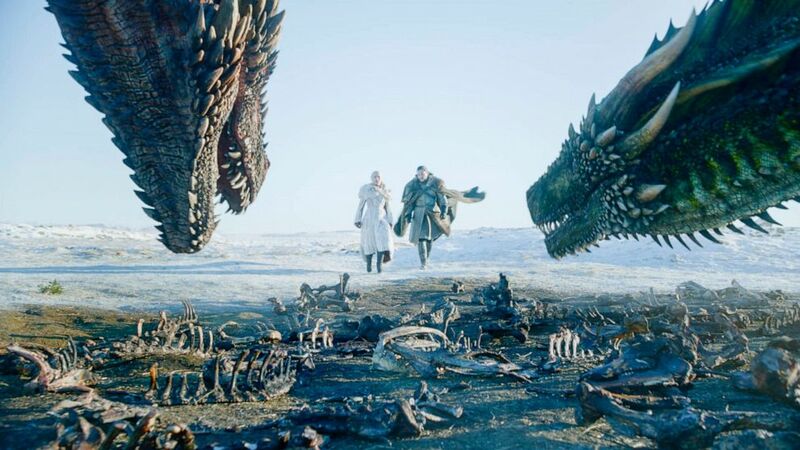 HBOs previous high-water mark was last seasons finale of Game of Thrones, making it likely that this new HBO record will be eclipsed when the series ends on May 19. Tiger Woods stirring comeback in the Masters gave CBS its biggest audience for that marquee golf tournament in six years, Nielsen said. Sundays final round, which was moved up several hours due to the threat of bad weather in Georgia, averaged 10.8 million viewers. The broadcasts peak came when Woods won shortly after 2 p.m. ET, with 18.3 million viewers. Fox News Channel was the weeks most popular cable network, averaging 2.38 million viewers in prime time. MSNBC had 1.56 million, HGTV had 1.182 million, USA had 1.177 million and TNT had 1.11 million. ABCs World News Tonight topped the evening newscasts with an average of 7.9 million viewers. NBCs Nightly News was second with 7.5 million and the CBS Evening News had 5.5 million viewers. For the week of April 8-14, the top 10 shows, their networks and viewerships: NCAA Mens Basketball Championship: Virginia vs. Texas Tech, CBS, 19.72 million; NCIS, CBS, 11.82 million; Game of Thrones, HBO, 11.76 million; 60 Minutes, CBS, 8.72 million; The Code, CBS, 8.14 million; Blue Bloods, CBS, 8.09 million; The Voice (Monday), NBC, 7.62 million; Survivor, CBS, 7.6 million; NCAA Basketball Pre-Game Show, CBS, 7.47 million; The Voice (Tuesday), NBC, 7.32 million. The Nielsen company said 17.4 million people watched the Sunday opener to the shows final season, either live on the network at 9 p.m., streamed, through HBOs on-demand service or during two reruns that aired later that night. Theres a good chance that number will be eclipsed next month when the series signs off for good. Meanwhile, CBS had its biggest audience for the Masters in six years with Tiger Woods stirring comeback.